The arrestees who served ten days in jail after Russia Day shared their plans for the future. They once again included the Field of Mars, and Navalny, and the special detention center on Zakharyevskaya Street they had just left. A new group of prisoners, who had finished serving the jail sentences they were given after Russia Day, was released on Thursday, June 22, from the Interior Ministry’s special detention center on Zakharyevskaya Street in central Petersburg. They had been sentenced to ten days in police custody, meaning they had committed violations of “moderate severity.” The die-hard violators, who were sentenced to fifteen days in jail, will not be released until next week. The least malicious violators, who had already been released, greeted their recent cellmates with soda pop, flowers, and rounds of applause. The former prisoners were cheerful and praised the prison food. They came out of jail with the same clear conscience they had when they left the Field of Mars in paddy wagons. The Interior Ministry’s special detention center on Zakharyevskaya is a historical landmark. Vladimir Ulyanov (Lenin) and Felix Dzerzhinsky had done time there prior to 1917. In June 2017, people who attended an anti-corruption rally on Russian Independence Day were jailed there. Around 10,000 people had gone to the Field of Mars on the national holiday. Some people celebrated, while others were arrested. Nearly six hundred hundred left the celebrations in paddy wagons, headed to police precincts round the city. From June 13 on, the city’s district courts worked like a conveyor belt for meting out punishment. The arrestees were sentenced for going to the anti-corruption rally and for failing to obey police orders to leave the rally, i.e., they had violated two articles in the Administrative Offenses Code. The majority of those detained at the event got off with 10,500-ruble fines [approx. 158 euros], but a hundred and fifty people were sent to jail, sentenced to terms of three to fifteen days. The release of the prisoners whose time in jail ended on June 22 was due to start at two o’clock in the afternoon, when the lunch break ends on Zakharyevskaya. At the very same time, as recorded in their arrest records, exactly 240 hours had passed since the first of the “ten-dayers” had been detained. In fact, they had been detained and hauled to the courts wholesale. But the law enforcement machine was carefully counting off the minutes. One prisoner could be released at 2:30 p.m., but another had to be released at 4:00 p.m.
At a quarter to two, people holding plastic bags form a semi-circle at the exit from the detention center. Two vehicles are cruising nearby. One, emblazoned with Open Russia’s logo, is ready to give the released detainees a lift to the courts, where lawyers are waiting to appeal their fines. The other, emblazoned with the police’s logo, is also ready to take them somewhere. “I’m going to detain you for jaywalking,” a policeman standing on the sidewalk warns me. “Please arrest me for jaywalking,” I smile back at him, standing on the same sidewalk. The policeman goes back to his car. The bags of the people waiting outside the detention center are stuffed with bottles of soda pop. There is also a bunch of pink chrysanthemums. Later, the chrysanthemums will be divided and given to the liberated comrades. Everybody knows who nice it is when people are waiting for you with chrysanthemums when you get out of jail. And you are also really thirsty when you get out. The greeters know all of this from personal experience. The man’s name is Oleg Maksakov. He is forty-three. He doesn’t know why he was sentenced to five days, while his young cellmate got ten days. They didn’t know each other before they were jailed, but they made friends in the cell. Another person who celebrated Russia Day at the Field of Mars approaches us. In terms of age, Pavel Ilatovsky is one of the “non-downtrodden.” You could say he lucked out. He got off with a 10,500-ruble fine and spent two days at police precinct while he waited for his court hearing. The figures assembled by volunteers back up what Ilatovsky says. The Krasnoye Selo District Court heard 59 cases, and no one was sentenced to time in jail. The Kalinin District Court proved to be the most cruel and greediest. Among the 44 cases it heard, around three fourths (the volunteers don’t know for certain) resulted in fines alone, while the rest resulted in fines and jail time. The same court handed down the harshest sentence: fifteen days in jail plus a 20,000-ruble fine. Ilatovsky volunteers with the detainees assistance group. The group brought care packages to Zakharyevskaya all ten days and raised money to pay the fines. And now they have brought a vehicle, soda pop, and chrysanthemums. This system of assistance improves with every series of arrests. It has started working like a well-oiled machine. We are chatting next to the prison’s entrance. Everyone’s mood is upbeat, even joyful. Finally, the iron door opens and a young man exits holding his passport. He is carrying a backpack, and a container of liquid soap pokes out from the pocket. A yellow-and-blue ribbon is pinned to his jacket. Denis Uvarov went to the Field of Mars with a purpose. He wasn’t celebrating the holiday, but combating corruption. “This dude was walking around with a bullhorn and ordering everyone to disperse, but no one dispersed. Therefore, they did not obey [the police’s orders],” he says by way of explaining why he was convicted of disobeying the police. Besides, Uvarov chanted slogans offensive to our president, and what is worse, waved the flag of Ukraine, with which he sympathizes. He caught flak for it: ten days in the slammer. He admits it could have been worse. He twice received care packages of food from complete strangers, and that amazed him most of all. “Of course, we didn’t really need anything in the cell, but it’s nice knowing that you’re in there, and somebody cares,” says Uvarov. In the two-person cells in which the June 12 arrestees were held, they really did not need anything. Uvarov compared it to a hospital, adding, only, that he couldn’t go into the hallway. But they were taken out for walks every day. The interesting people were other prisoners sentenced to jail for June 12. Uvarov says it was the first protest many of them had attended. Some of them ended up there by accident and were not interested in politics. Then I remind him that, in Russia, it is a criminal offense to attend unauthorized rallies repeatedly. Ivan Gerasimyuk is one of the young people who collided head on with politics at the special detention center. He looks about twenty years old. Gerasimyuk thought jail was awful, especially the fact the prisoners were fed not according to schedule, but whenever. And his cell was very dirty. Alexander, who refuses to tell me his surname, works in a school. He won’t say what he does there, but he deals with young people like Gerasimyuk, only a bit younger. Alexander went to the Field of Mars knowing a rally was supposed to take place there, but he had no plans of taking part in the protest. He only wanted to watch. Vladimir Drofa, who is released right after Alexander, has become a true believer. Or, at least, he says so. “You want to sentence them to ten days in jail?” I ask. Drofa knows that, before him, his namesake Vladimir Ulyanov was imprisoned in a nearby cell. “I need to read ‘The April Theses,’” he adds. She was not busted. Her girlfriend grabbed her bags, and the flock of young women ran off towards the subway. The young people were applauded as they left the jail. They were also given flowers, the very same pink chrysanthemums, until the entire bunch had been divvied up and was gone. The press drifted away. The bus emblazoned with Open Russia’s logo left, taking with it those who wanted to appeal their sentences to meet with lawyers. The last of the dozen and a half “ten-dayers” emerged from the jail after four o’clock, saying almost exactly the same things their special detention center cellmates said. None of them broke their toothbrushes at the doors of the prison. 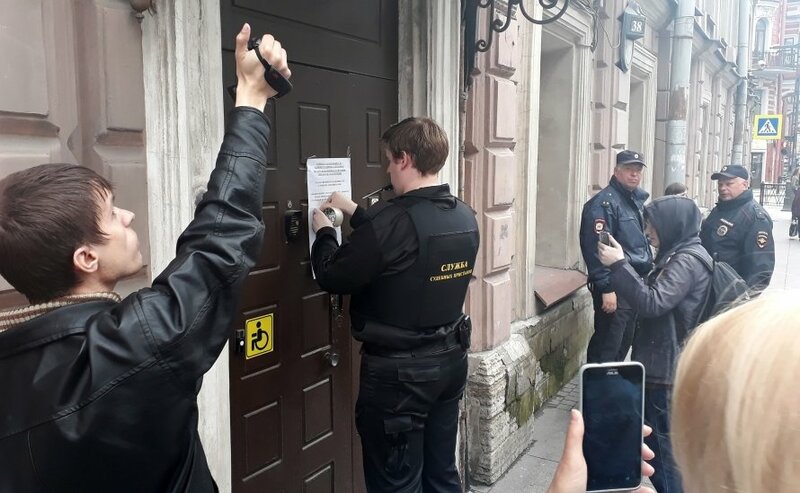 On June 13 and 14, 2017, emergency courts, expressly forbidden by the Russian Constitution, were set in motion in St. Petersburg. What were the peculiarities of the court hearings that took place on June 13–14, 2017, in St. Petersburg? — The unprecedented scale. On June 13 and 14, 2017, 943 administrative cases were heard by 123 judges in sixteen of St. Petersburg’s twenty-two district courts. The defendants had been charged with violating Article 19.3, Part 1 (“Disobeying the lawful order or demand of a policeman, military serviceman, penal system officer or Russian National Guard member in connection with the performance of their duties to protect public order and ensure public safety, as well as obstructing the performance of their official duties”) and Article 20.2, Part 5 (“Violation, by a participant of a public event, of the established procedure for holding a meeting, rally, demonstration, procession or picket”) of the Russian Federal Administrative Offenses Code (KoAP). The overwhelming majority of those detained on the Field of Mars on June 12, 2017, were simultaneously charged with both offenses, regardless of the circumstances of their arrests. — The unprecedented speed with which cases were heard: zero minutes (eleven district courts), one minute (seven district courts), etc. — The unprecedented numbers of cases heard by individual courts in a single twenty-four-hour period: 95 (Kalinin District Court), 106 (Krasnoye Selo District Court), 110 (Frunze District Court). — Violation of territorial jurisdiction. All the administrative cases should have been heard by the Dzerzhinsky District Court, in whose jurisdiction the Field of Mars is located. At the request of the persons charged with administrative offenses, their cases could also have been transferred to the courts in the districts where they are registered as residebts. In the event, the detainees were bused from police precincts to sixteen district courts. Their cases were assigned to judges regardless of territorial jurisdiction. — Violation of the right to a defense. No more than a quarter of the defendants enjoyed the services of a lawyer or public defender. Some judges rejected appeals for adjournment so that defendants would be able to secure defense counsel. Some judges gave defendants a ridiculously short amount of time to secure defense counsel. Defense attorneys and public defenders were physically unable to get into the majority of the courthouses, especially after six o’clock in the evening. — Violation of the right to a public trial. Information about the court hearings on June 13–14, 2017, was posted on the courts’ official websites only several days after the hearings themselves. People who might have wanted to attend the hearings had no way of finding out what cases were being heard, nor when or where they were being heard. Judges’ rulings have not been published in full. Currently, only 26 of the 943 rulings, which have already taken force, have been published on the courts’ websites. — Violation of the principle of adversarial proceedings. There were no prosecutors or police officers present at any of the hearings, and the judges essentially acted as prosecutors. — Night courts are forbidden. 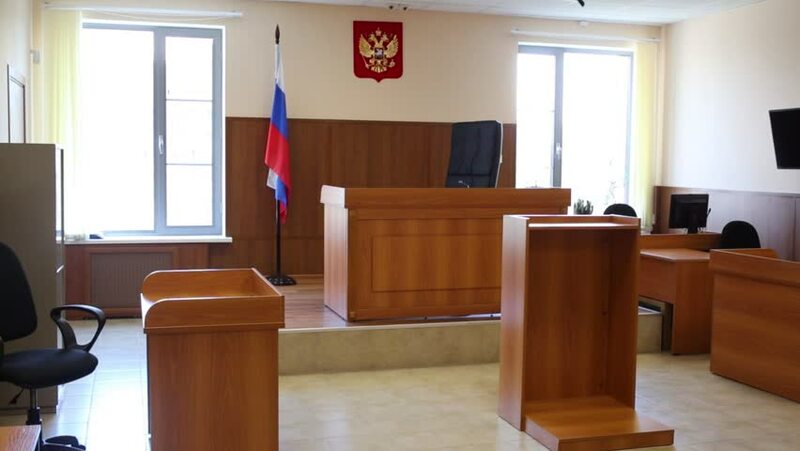 But even on official court websites the starting times of hearings are listed well past midnight, e.g., 12:23 a.m. (Krasnoye Selo District Court), 12:45 a.m. (Kalinin District Court), 5:00 a.m. (Kolpino District Court), 5:20 a.m. (Frunze District Court). Despite the violations, listed above, the St. Petersburg City Court has rejected all appeals filed, moreover, in the very same fashion as the district courts. This means the people who organized and launched the conveyor belt of emergency justice in St. Petersburg have direct control not only of the police and the Russian National Guard but also the of district and city courts. P.S. The mass trials that occurred on June 13–14, 2017, in St. Petersburg, differed from extreme justice only in the sense that they were executed by regular judicial entities, rather than by specially instituted extraordinary courts with distinct powers. Are you wondering how you might react to this nastiness, especially if you live far from Petersburg? Here’s one simple suggestion. FIFA’s Confederations Cup is currently underway at four venues in Russia (Kazan, Moscow, Sochi, and St. Petersburg). Take a gander at the match schedule and the list of corporate sponsors (which includes Adidas, Coca-Cola, Visa, McDonalds, and Bud). Give them a call or send them an email saying that, because of the way the Russian leadership treats its own people when it comes to the freedoms of speech and assembly, and the right to a fair trial, you won’t be buying their products anymore, since they make common cause with flagrant tyrants. You can also get in touch with the TV channels broadcasting the Confederations Cup matches in your city or country and tell them you won’t be watching the matches and why you won’t be watching them. These are simple ways to show your solidarity with the six hundred and sixty some people who were arrested on Petersburg’s Field of Mars for no good reason on Russia Day, a national holiday celebrating the country’s independence from the Sovet Union, and then put through the kangaroo courts, as described above and elsewhere.